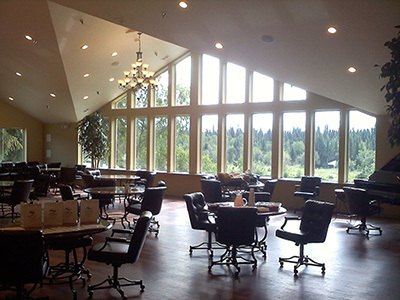 Alaska's Premier Assisted Living Community...where our entire focus is to make you feel right at home, and provide you unparalleled care in an elegant setting! We're located directly above the bank of the world-famous Kenai River in the picturesque city of Soldotna, so the views at Riverside are truly spectacular. Spring, Summer, Winter or Fall you'll enjoy watching Alaska's native wildlife from almost anywhere within our beautiful facility.